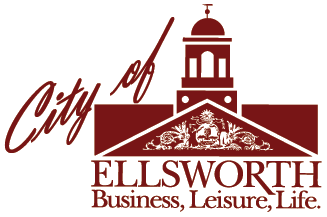 The Ellsworth Board of Appeals is a six-member Council-appointed board charged with the review of all appeals by any person affected directly or indirectly, where such appeal is necessary, proper or required, in accordance with the Unified Development Ordinance, Article 13 – Board of Appeals.
. The Board interprets provisions of ordinances, approves the issuance of variances subject to conditions in all of the zoning districts, including the shoreland zone, in which a variance shall apply to area, yard space, height, or setback requirements, as long as the hardship criteria are met. The Board hears and decides on the City Assessors denial of abatement requests or applications for exemption, under Maine Revised Statutes Annotated Title 36 – Taxation. The Board also hears and decides on City Council denials of Poverty Tax Abatements. To request an appeal to be heard complete an Assessment Appeal Application or Zoning Appeal Application. Completed applications and any supplemental information must be submitted to the Code Enforcement Office by noon, 21 days prior to a regularly scheduled meeting. How can I appeal the tax rate? The tax rate, which is set once a year by the City Council, cannot be appealed. Your valuation, which is set by the Assessor, can be appealed by completing the Assessment Appeals Application Form. How can I appeal my valuation? Pursuant to state statute, tax appeals must be filed in writing with the Tax Assessor within 185 days of the commitment of the taxes. Tax appeals must be based upon a claim of over valuation of the property not upon the amount of the tax bill. A taxpayer may only appeal the current assessed value stated on the tax. To apply for an assessment Appeal, complete the Assessment Appeals Application Form.